Jump into a group lesson and see your skate skiing improve. Our professional instructors are experienced and friendly locals who are ready to help you and your fellow skiers take your skating up a notch or two. The balance, quickness, and strength required for efficient skate skiing is not easy to master, but with solid teaching you can get the hang of it faster than ever. A group lesson lets you experience the social aspect of cross country skiing and maybe meet some new ski partners in the process. 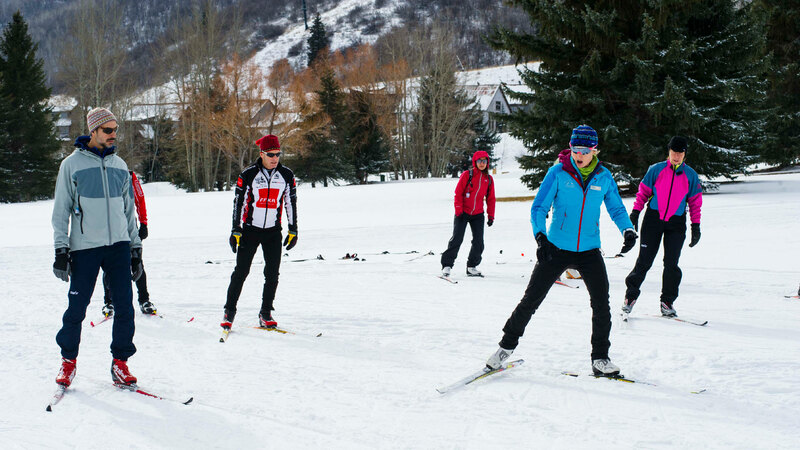 Your instructor will teach to the level of the group, and then you can go practice on your own on the over 20 kilometers of groomed trail just steps about from the White Pine Nordic Center.